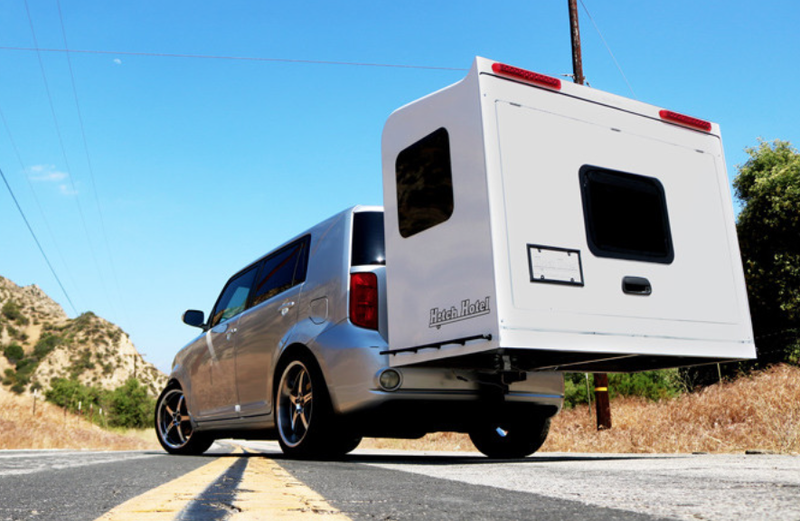 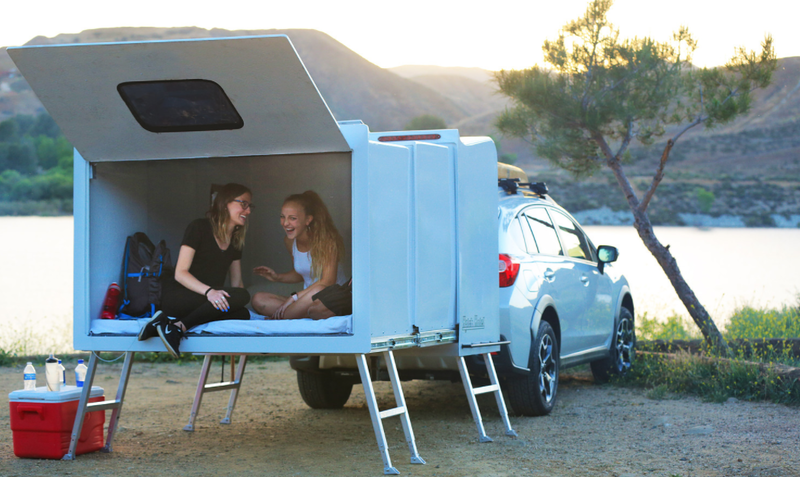 The Hitch Hotel (currently lives on Kickstarter) is a portable hotel for your car or truck, assuming you have a class 2 or higher hitch. 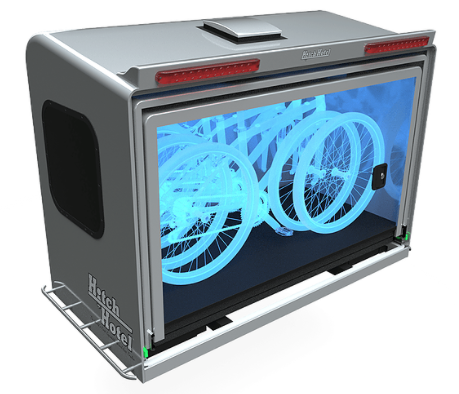 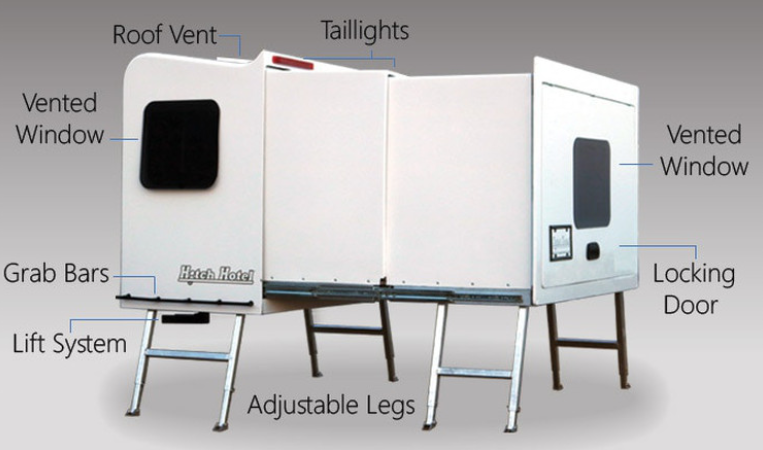 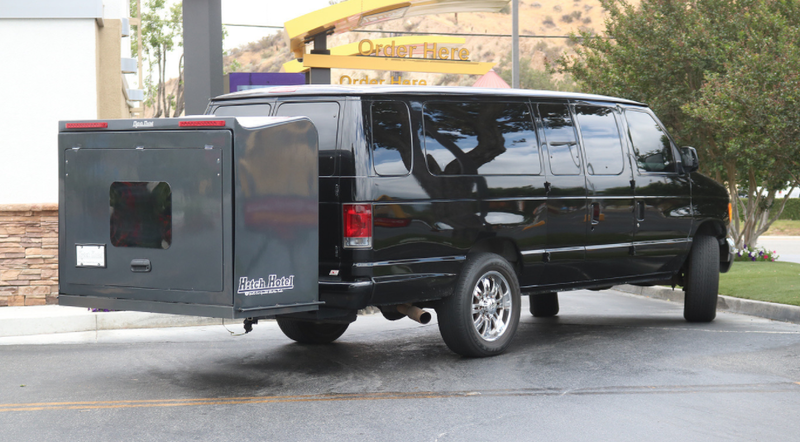 It serves double duty as a storage box when closed (60 cubic feet of storage), and can hold three full sized bikes inside. 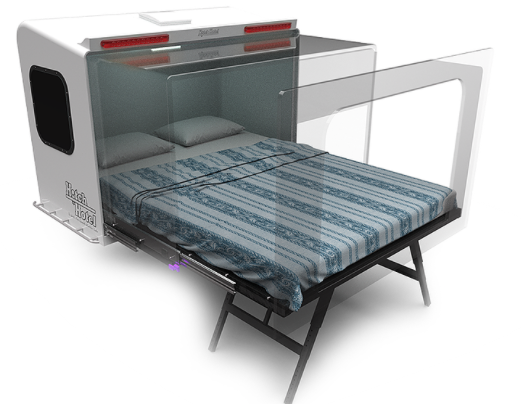 When you are ready to convert the Hitch Hotel ($3,200) into a bedroom you simply extend the unit and deploy the adjustable legs. 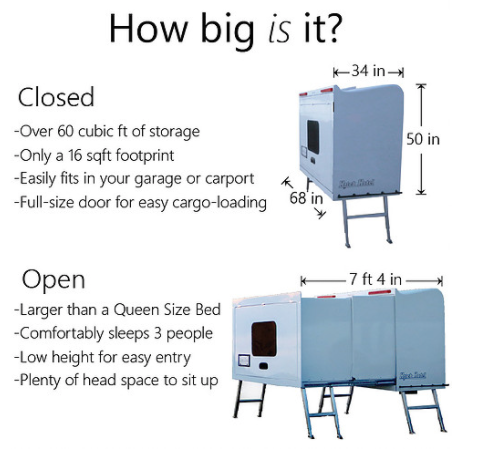 Inside you will find windows, vents, and a queen sized bed.